DEADLINE TO JOIN THE NADE NANOWRIMO CLUB IS NOVEMBER 1st! IMPORTANT! 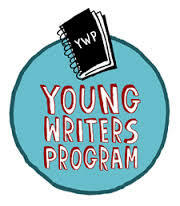 Be sure you are using the YWP NaNoWriMo site (ywp.nanowrimo.org), NOT the main NaNoWriMo site. We do the Young Writers' Program so we can set our own word-count goals. The main site requires a 50,000 word-count goal. To join our NaNoWriMo group, follow these instructions: **IMPORTANT: You will be listed on our group site by your USERNAME, not your actual name. 2. Fill out all the info (remember your username). Click "Create new account." You will be emailed a link. 3. Click on the link in the email. It takes you to the YWP site where you will choose a password. 4. Once logged in, click on "Join a Classroom" (left side of the screen). 5. In the "Search for a classroom" box, enter "Nade Library." Highlight it, then click "Join." 6. Email Mrs. Benning your username (kbenning@chaminade.org). 7. Click on "FAQs" to learn more about the process. 8. Create your home page, add author info, etc. 9. Ditch your inner editor and start writing! Ditch that inner editor and WRITE AWAY!! !